SDD’s BLM6900 professional booklet maker is designed to seamlessly integrate into any production environment. 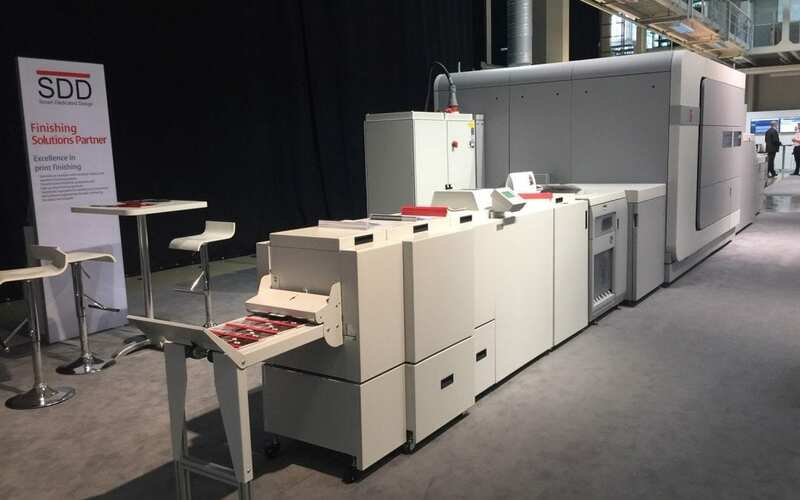 The inline modules can handle printer speed with ‘One Button’ automation for maximum efficiency. 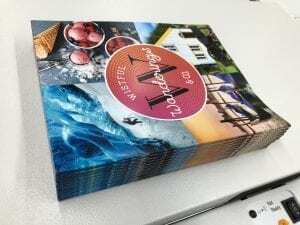 As a result, the world’s most recognised manufacturers choose to add the SDD Booklet Makers to their digital printing systems. SDD modules transform printed output into beautifully finished, cleanly folded and saddle-stitched booklets. Fully trimmed booklets with a square spinecan produce even higher levels of eye-catching magazines, marketing brochures, and high quality product brand packages. SDD’s fine-finishing modules help maximise revenue in minimal floor space. The mission of SDD technology is to do a job efficiently and minimise opportunities for errors. The design philosophy is ‘simple modular elegance’. Setup and operation can be as simple as ‘One Button’ to minimise operator intervention. SDD’s viewpoint follows a straightforward philosophy that the best operator is no operator. SDD modules are interfaced with the printer’s control system to avoid complicating the workflow with additional software. Clean and simple, ‘One Button’ operation – start and stop. Finishing solutions that add value to your business.